Yooka-Laylee will not make its October 2016 release window, developer Playtonic revealed at the end of a new trailer released this morning. The crowdfunded spiritual successor to Nintendo 64’s Banjo-Kazooie and Banjo-Tooie has slipped out of the current calendar year and is now targeting a Q1 2017 release. 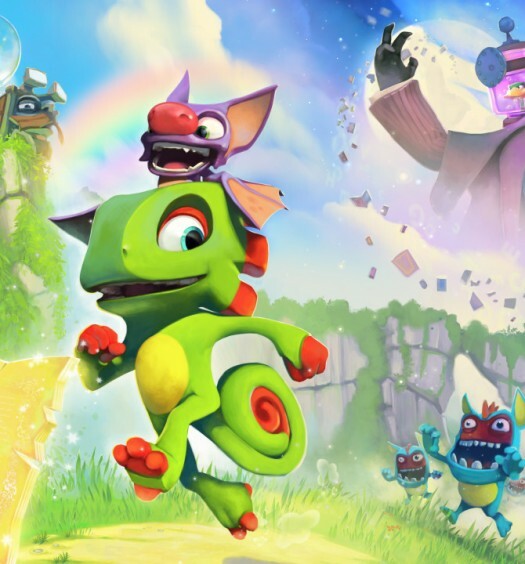 Playtonic framed the delay to Q1 of next year as the game now having a “firm release window.” Eager fans will have to hope this new date is firmer than than the October 2016 one that Yooka-Laylee‘s makers had been touting since the game’s May 2015 Kickstarter campaign, which soared past its funding goal by more than $2.7 million. “After a lot of soul searching and knowing through dialogue with our fans that they value quality and polish above all, we’ve made the difficult decision to lock the release of Yooka-Laylee to Q1 2017,” Playtonic Creative Director Gavin Price said in a prepared statement. “While we felt confident we could ship the game in October as originally planned, the team has decided that it would like to add a few extra months’ polish to our schedule. Ultimately, this will allow us to release a better game to the thousands of fans who’ve supported us throughout development. The good news for fans is that Yooka-Laylee‘s new trailer is its most robust yet, showing off a variety of gameplay segments, whereas previous footage was mostly of the proof of concept variety. 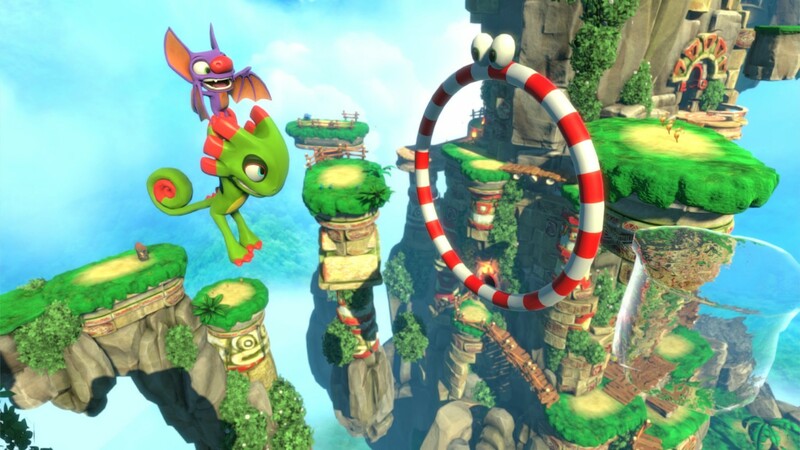 In the footage, the titular chameleon and bat are seen relying heavily on each others’ abilities, something Playtonic had previously stated would be a major focus of the game. 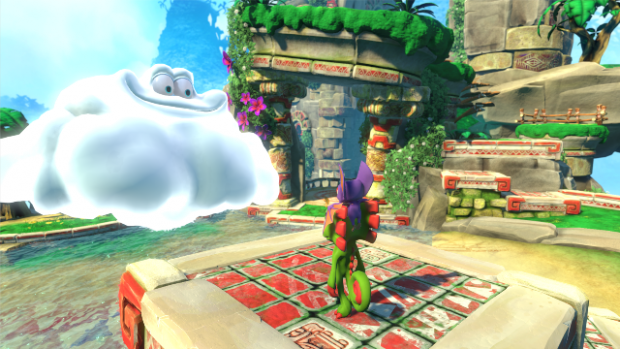 While this is similar to the dynamic between Banjo-Kazooie‘s eponymous bird and bear, Playtonic insisted that Yooka-Laylee would feature abilities that felt more appropriate for the player-characters’ species. Bat Laylee’s flying while Yooka holds on for dear life would certainly seem to fit that theme. Laylee’s balancing on Yooka while the chameleon rolls around in a ball is certainly less so, despite looking like a lot of fun.